Giving - De La Salle College "Oaklands"
The De La Salle College community is made up of many great generations of people. We are fortunate to have an extensive community of alumni, parents, grandparents, faculty, staff, students and friends who all play a vital role in supporting the school. Each generation of De La Salle students benefits from the generosity of past supporters. Thank you for your generosity and for your support! Please show your support today and make a gift to De La Salle College! Please select one of your giving options listed below and if you require any assistance please do not hesitate to contact a member of staff in the Advancement Office. Donate using our online form and make your secure credit card gift today. Please download and fill out a Donation Form. All financial contributions qualify for a tax receipt in the full amount donated. A "pledge" is a credit or cheque donation made to the College in which there is a start and end date for a fixed dollar amount determined by the donor. A pledge can be set up monthly or annually. Gifts of appreciated securities, such as Canadian Equities and Bonds, Canadian Securities -Physical Certificates. and Canadian Mutual Funds, are fully exempt from capital gains tax when donated to a charitable organization. 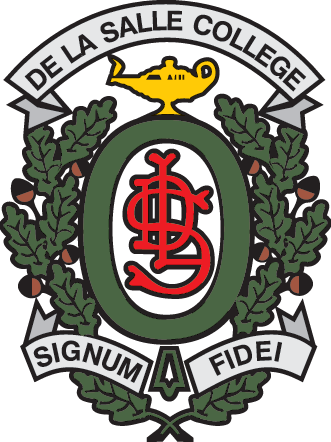 Donors of appreciated securities to De La Salle College "Oaklands" will receive a tax receipt for the fair market value of their gift on the day it is received. Please contact Howard Finewax by phone (416) 969-8771 ext. 226 or email hfinewax@delasalle.ca for further details. A donor may make a gift of tangible property to De La Salle College "Oaklands". Gifts-in-kind may include books, equipment, furnishings, etc. These gifts must be pre-arranged with the Advancement Office. Charitable receipts for fair market value may be issued with an appraisal.